We all love sleeping and all living creatures needs to sleep. Humans spend one third of their lives sleeping, however, it is not fully understood what sleep does. 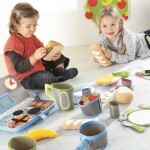 It is the primary activity of the brain during early development. The sleep-wake cycle, is regulated by light and dark and these rhythms take time to develop, resulting in the irregular sleep schedules of new-borns. The rhythms begin to develop at about six weeks, and by three to six months most infants have a regular sleep-wake cycle. At the age of two, most children have spent more time asleep than awake and overall, a child will spend 40 percent of his or her childhood sleeping. Sleep is especially important for children as it directly impacts mental and physical development. Wesco’s basic range of cots are ideal for nursery’s and creches, the cots are put through rigorous testing and meet the required EU standards and regulations. New born children convey to us that they want sleep through a different number of methods. Some babies cry and rub their eyes to capture a parent’s attention, it is best to put babies to bed when they are tired but not asleep. Try observing a baby’s sleep pattern and identify signs of sleepiness. Encourage the baby to sleep at night. Infants typically sleep 9-12 hours during the night and take 30 minutes to two-hour naps, one to four times a day, fewer as they reach age one. Create an environment that is sleep friendly. Begin a schedule for daytime and bedtime and encourage babies to fall asleep independently. Pre-schoolers typically sleep 11-13 hours each night and most do not nap after five years of age. Sleeping in a crib instead of a bed is associated with enhanced caregiver-reported sleep quantity and quality. A new study has found that children who sleep in a cot until the age of 3 sleep better through the night. Child should sleep in the same sleeping environment every night. 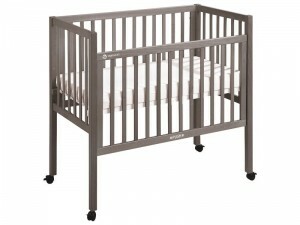 The Basic space saving cot from Wesco is ideal for rooms with limited room. 1 – Put babies on their backs. 2 – Make sure babies heads or faces can’t get covered while they’re sleeping. 3 – Share a room. 4 – Use a firm well-fitting mattress. 5 – Use a cot that meets current EU safety standards. Equipped with a height-adjustable bed base (41, 58 and 73cm) and a removable bar. Slatted bed base adjustable to 3 different heights. Silent drop mechanism. Easy access. 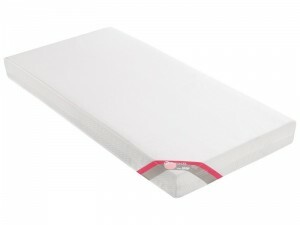 Our stackable beds are hygienic, washable, extremely strong, optimum safety and lightweight. 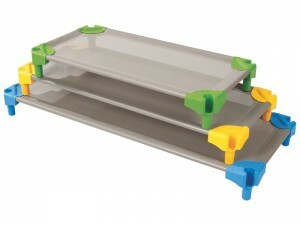 Customisable thanks to our label holders and stackable thanks to our segmented legs. These beds are the best on the market for space saving solutions. if you need a quotation on new cots for your service.